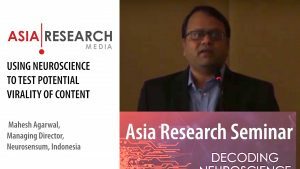 Industry navel gazing has become the main feature of the Asia Research publication for several years now. However, the first attitudinal survey of stakeholders conducted in July this year provided perhaps more insight than any of the other Asia Research surveys. 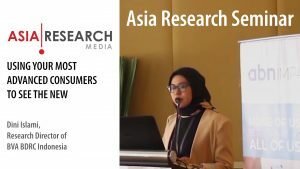 Conducted on-line with 260 respondents from clients, agencies, and support industries from 12 countries across Asia, the survey assessed the opportunities, threats, and potential changes to the industry in the next 5 years, and attitudes towards the demand and supply side of the industry. While organic growth and the maturing of the research industry are all seen as opportunities, it is the partnership of technology and value add that will define the winning companies in the years to come. On the technology side, the opportunities include more use of on-line platforms, mobile research, and utilizing social media such as observing chatter on brands and products. While Singapore and Australia are more inclined to see opportunity in technology (having for example some of the most extensive consumer panels), markets like Indonesia see the biggest opportunity in social media reflecting the enormous popularity of Facebook in this country. Clients generally concur, seeing more opportunity in technology and social media, and encouragingly more value add research meaning the ability of agencies to provide greater insight and strategic inputs to their marketing and business development plans. The threats to the industry are more diverse. These include price pressure, inability to attract talent to the industry, poor quality fieldwork, and lower respondent co-operation rates. The perceptions of agencies and clients concerning potential threats to the industry are very different. While 30% of agencies put price pressure as the biggest threat (versus only 5% of clients), clients are twice as likely as agencies to state ‘poor quality fieldwork’ and the ‘inability to attract and retain talent in industry’. The in-sourcing of research (i.e. clients going directly to on-line panel companies and undertaking analysis themselves) is also viewed as a fairly significant threat to the industry. While this could be viewed as an opportunity for some clients, most recognize that such a practice is ultimately bad for the industry, for example undermining the ability of agencies to nurture and develop good researchers for whom most clients ultimately rely on. Perhaps the best news for the industry is that the majority of stakeholders – clients, agencies, and support industries alike, on balance see more opportunities than threats. This view spans all types of agency and management level although middle managers, e.g. those at Project and Research Managers are less bullish. Those citing more threats than opportunities are more worried about being able to attract and retain talent in the industry, and many are concerned whether the public’s cooperation in market research will continue. A series of attitudinal statements in the survey pitched agencies against clients. While both clients and agencies were critical of each other, they also admitted their own shortcomings. 55% agree that most clients are “willing to sacrifice quality for lower price” versus 32% disagreeing (the remainder being neutral or undecided). While most clients disputed this, 31% concurred with this statement which could be either a criticism of their internal clients who often hold the budgets, or an observation of their peer group. Harsher criticism of the quality / price trade off is encountered with researchers working primarily for public sector clients. In contrast, researchers working in some of the emerging markets such as India and Indonesia are more inclined to challenge this statement. 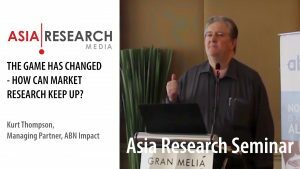 These markets are seeing significant growth in research spend, and while this is also the case in other emerging markets, clients are perhaps seen as becoming more sophisticated in these markets compared others. In contrast, Malaysia sees far more price pressure compared to other emerging markets. More critically, more researchers agree than disagree that “clients cannot tell the difference between high quality and average research”. Here 55% agreed versus 39% disagreeing. This criticism was harsher among more senior researchers, suggesting that more junior client side researchers (as buyers) lack the experience or skill to make this judgment. One of the most strongly endorsed statements was that “clients today are more price-driven than 5 years ago” – the majority of clients who took part in this survey admitted this. This reflects several market realities generic paxil that agencies in Asia now have to live with – firstly far more suppliers are in the market place allowing clients to shop around for lower prices, and secondly better buying skills within the client organization itself particularly with procurement departments now taking a bigger role. Notwithstanding this, most also agreed that “compared to today, corporations will spend significantly more in real terms on market research in 5 years time.” This is not just wishful thinking from agencies since three times as many clients agreed than disagreed with this statement. The implications being that with falling prices and bigger budgets, a lot more research will be undertaken in the marketplace meaning that the availability of talent to deliver on these projects, and the public’s co-operation in the research will increase in saliency. While clients received their fair share of criticism, the survey also included a critique of the supply side – the research agencies. 45% agreed (versus 37% disagreeing) that “in an attempt too innovate, research companies are developing analytical methods that are too complex” to a point where clients do not understand them. The more developed markets such as Australia, Singapore, and South Korea are in more agreement with this statement where product innovation is at its more advanced level. Clients’ views are more evenly split. Perhaps surprisingly the more senior researchers (e.g. holding Director / MD titles) are in more agreement about innovation producing suspect products, believing instead that more value-add consultative research is the future for the industry. Indeed those citing value-add as the biggest opportunity for the industry are more likely to agree that the blackbox solutions have become too complex for their own good. 47% agreed (versus 30% disagreeing) that in the next 5 years, the large research agencies will lose significant market share to smaller independent firms. Not surprisingly the larger agencies disputed this, and the overall vote was distorted by the fact that more researchers from independent agencies took part in the survey than those from the large agencies! But the ultimate adjudicators are the clients, and more of these agreed that the large agencies will lose share than disagreed. There is also some correlation between those agreeing with this statement, and those agreeing that product solutions have become too complex and that clients can’t tell the difference between good and average research. This suggests that some stakeholders think that products have become smokescreens, hiding the real meaning of value add in research. The most rejected statement was the notion that research agencies “are too academic, with little understanding of business issues”. Only 39% agree with this statement versus 44% disagreeing, although most clients and senior managers actually support this view. Despite the criticism of product development, “more product innovation” is seen as one of the leading methods for gaining competitive advantage in the next 5 years. Of course the question is, in what area? Evidently this is more likely be in technology rather than in methods since many see “more investment in IT, e.g. on-line reporting and mobile phone research” as one of the key competitive advantages an agency can achieve. Researchers expect fairly significant change in the industry in the next 5 years. While most stopped short of talking about revolution, over 60% think there will be at least ‘very different products, services, and types of organizations’. Indonesia stood out from other markets in seeing faster change, but here the market is relatively immature and the need to play catch up is probably the underlying reason particularly with increasing budgets in an undersupplied market. Those seeing the fastest change are more likely to see ‘business remodeling’ as the biggest competitive advantage for an agency in the next 5 years, indicating that change will mean significant restructuring and slimming down of research agencies.